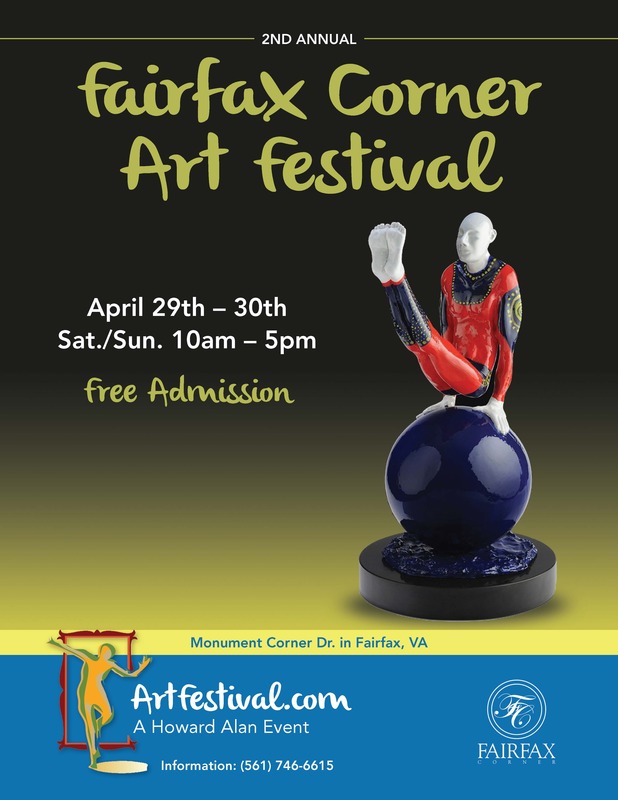 The shopping, entertainment and dining mecca of Fairfax Corner will transform once again into an outdoor art showcase during the 2nd Annual Fairfax Corner Art Festival. Monument Corner Drive will feature more than 100 national and international artists, arranged in pop-up gallery style and filled with all mediums of fine art for two days on April 29th – 30th. Whether your passions run to sparkling jewels and one of a kind paintings; exquisitely crafted glasswork or an art deco sculpture, you are sure to find it during this free, two-day event. Presented by Howard Alan Events (HAE), producer of the nation’s finest juried art shows, the 2nd Annual Fairfax Corner Art Festival represents original, hand crafted artwork selected by an independent panel of expert judges from hundreds of applicants. HAE’s careful vetting process ensures a wide array of mediums and price ranges will be offered during the festival. Visitors are encouraged to engage the artists and discover the inspirations and processes behind each stunning work. All artists are on-site for the duration of the two-day festival. Parking is available and well-behaved pets on leashes are always welcomed.